Plan on taking a road trip with the clan, but worry about someone’s phone running out of juice? 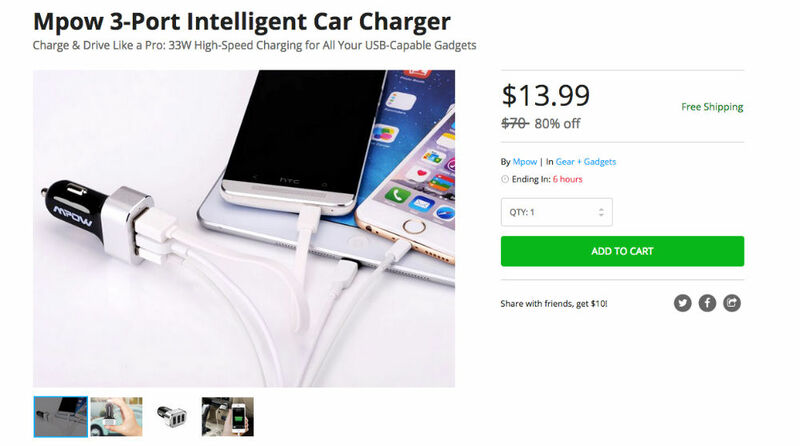 Well, you can pick up a Mpow 3-Port Intelligent Car Charger for just $14 on the DL Deals Store, allowing you to charge three smart devices simultaneously. What makes this little charger “intelligent” is its ability to identify connected devices, then charge them at full speed. No, it’s not Quick Charge 2.0 compatible, but better than other car chargers you might find at Best Buy. And as you can see on Amazon, this little charger is rated quite nicely, priced at about $16. If this little gizmo would be useful for your car, have at it by following the link below.